From trolley rides downtown to strolls through the magnolia-lined gardens of famed antebellum estates, you’ll quickly find yourself taking things a little slower in Milledgeville, one of the prettiest small towns in Georgia. But that doesn’t mean you’ll run out of things to do — history and architecture buffs will revel in the town’s 19th-century legacy as home to governors, generals and ghosts, and budding naturalists have thousands of acres of nearby rivers, lakes and forest to explore. “Milly,” as the town is affectionately known, is nestled on the banks of the winding Oconee River. The Greenway Park and Riverwalk is the perfect way to explore the picturesque setting. You can hike the looping trails or rent kayaks or canoes at outfitters in town to paddle the long, gentle stretches of water. Anglers can set up shop at any of the individual fishing stations to land bass, bluegill and crappie. Boaters have even more options with the whole of nearby Lake Sinclair to enjoy. Just 9 miles north of town, the spacious lake is reputedly the cleanest in the state and a popular year-round spot for swimming, boating, fishing and picnics. Milledgeville suffered minimal damage during Sherman’s Civil War March to the Sea, so the oak-lined streets are dotted with well-preserved period buildings that will make history buffs swoon. 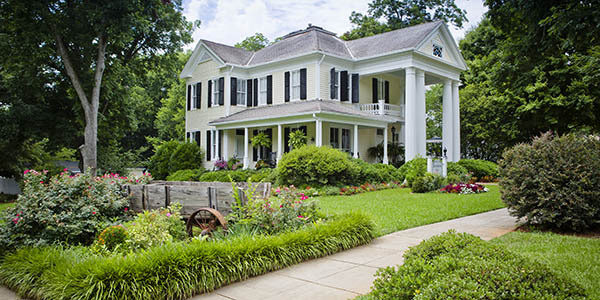 A must-do trolley tour of the historic district includes stops at the Old Capitol Building, as well as two of Georgia’s most esteemed mansion estates, Rose Hill and the Brown-Stetson-Sanford House. The great American short-story writer Flannery O’Connor called Milledgeville home for 13 years before her death in 1964, and fans of her Southern Gothic style will want to visit Andalusia, the family farm where she wrote some of her most famous works. 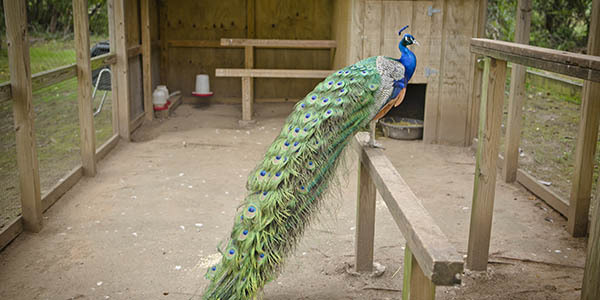 The farmhouse has been restored and the grounds are home to peacocks. The Lockerly Arboretum is home to the historic Rose Hill Estate, with 50 acres of lush grounds.